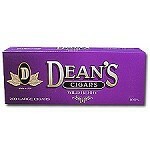 Dean’s filtered cigars have options for everyone and any taste preference, offering a convenient size and nine flavors. The cigars are made from one hundred percent tobacco and have a 30mm filter to provide a smooth taste with none of the harshness of a regular cigar. 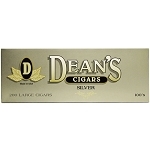 M & R Holdings Inc., the makers of Dean’s cigars, is a reputable family-run company that is proud of its fine products. 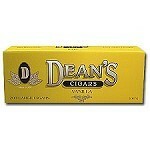 Cigarette smokers will prefer the size of Dean’s filtered cigars to that of a typical cigar. 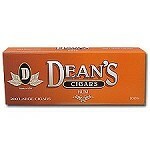 They are 100mm long and come packaged in soft packs containing 20 cigars each, just like a pack of cigarettes. Each pack is the perfect size for a shirt pocket or purse. The cigars also will feel normal on the lips because the width of each cigar is the cigarette standard, a ring gauge of 20. The filters provide the smooth smoking experience that a cigarette smoker will appreciate. Air-cured and designed for a slow-burning smoke, the filters will provide a perfect transition for smokers unaccustomed to normal cigars. Additionally, each filter has a classic cork-style paper wrapping which off-sets the dark brown homogenized tobacco wrapper of the cigar. 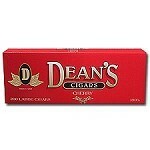 Dean’s filtered cigars are available in a number of flavors that will please any taste preference. Many of the flavors are fruity and perfect for summer or any time, including peach, wild berry, and the classic cherry. Non-fruit flavors include vanilla, chocolate, and rum. 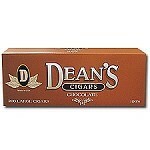 For those who prefer cigars that taste like a normal cigarette, Dean’s offers full flavor and mild options. Even menthol smokers will not be disappointed, as there is a menthol variety as well. Regardless of the flavor chosen, the cigars have a mellow, light aroma. 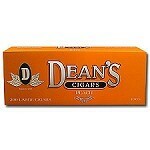 Lightly sweetened filter papers on the peach, cherry, vanilla, and chocolate cigars enhance the aromatic taste. M & R Holding Inc., Dean’s brand manufacturers, performs all tobacco blending and flavoring in its 28,000 square foot facility in North Carolina. 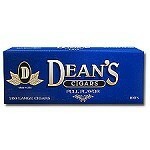 The makers of Dean’s filtered cigars, M & R Holdings Inc, have been family-operated for seven generations. Since the early 1800s, the company has grown tobacco in its original 21 acre field in North Carolina. M & R Holdings takes care of every aspect of manufacturing for Dean’s filtered cigars, including marketing, packaging, warehousing, and production. The company has high standards and demands a high quality product for its consumers.